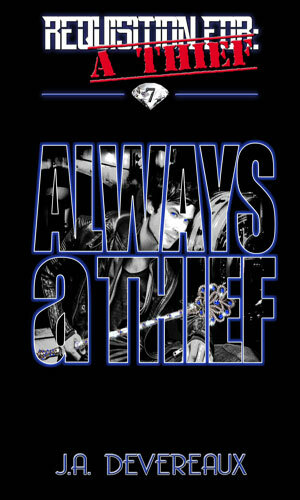 Gregg Hadyn is a thief. He is not an agent with the SIRU, despite what it says above and despite what the Director of the intelligence agency, Strategic Intelligence Response Unit, might want. Hadyn is a thief. More specifically, though he does not exactly limit himself, he is a diamond thief and he likes to think he is the best there is. The many museums deprived of their prime exhibits and private owners suddenly out their prized possessions and insurance companies who have had to hand out over a billion dollars in recompense - they would also have to agree he is a thief and he is the best they have had to deal with. To Denny Garrett, the SIRU Director, Hadyn is also a thorn in his pride. Before he got the job of Director of the newly established SIRU, Garrett had been a dedicated FBI agent and one of his most noteworthy targets was Hadyn. Garrett knew it was Hadyn behind a long string of high profile robberies. Indeed, everyone knew it was Hadyn. Proving it, though, was a different matter let alone catching him in the act. For almost the entire dozen years that Hadyn had been pulling off impossible snatches, Garrett was on his trail and always coming up short. When Garrett was moved to the new position, the failure continued to irk him. It also gave him an idea. What if someone of Hadyn's incredible and frustrating abilities put those talents to use for the government? There were many times that getting in and out of a target site without being detected was a hopeless dream. It would not be to someone like Hadyn. That's when Garrett got the idea that if he could not catch Hadyn fair and square, he might nab him some other way. It was a crazy idea but it worked. Hadyn would become a thief for the intelligence community. Garrett would learn that sometimes getting what you really want does not work out like you expected. --I am on my 4th book of the series. More when I finish the others. Part 1 of the pilot trilogy. Gregg Hadyn is the most sought-after diamond thief in the business today and the people after him are not out to congratulate him. Leading the charge is a former FBI agent, now Director of the SIRU. 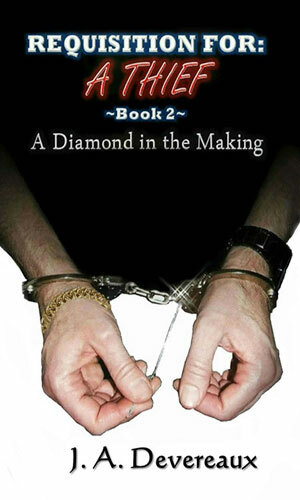 He wants to nab him to either put him away or put him to use for his agency. Hadyn has no interest until he runs into agent Carly Macklin and all things change. Part 2 of the pilot trilogy. Gregg Hadyn could not be caught but he could, for the sake of a love that shocked him in its intensity, give himself up and he does to the lovely Carly Macklin. He expects to head to prison for years. He does not expect a job offer. Part 3 of the pilot trilogy. Ready to reluctantly go to work for the SIRU instead of going to prison, Gregg Hadyn is not surprised that others would be against the idea. One of those most vehemently opposed is the Director of the FBI and what he will do to scuttle the scheme is stunning. 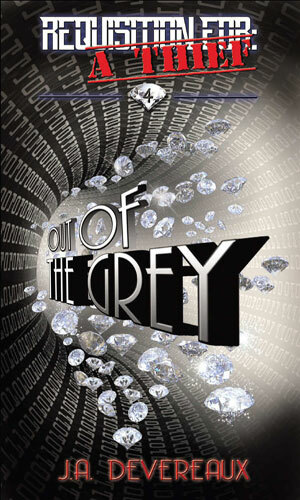 Niki Grey is not only a thief almost as good as Gregg Hadyn, she is a former lover than got away. Now that he is happily married, Hadyn has only fond memories but when he runs into her on his first real mission, he learns the trouble she is in is going to be trouble for him, too. 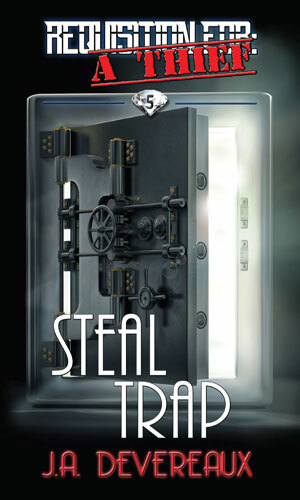 Gregg Hadyn has issues with stealing for the SIRU but a deal is a deal. When, though, he is 'loaned out' to the FBI, he is less than thrilled. So is the agent in charge of the mission to break into a vault of a drone manufacturer suspected of working with an enemy nation. He is a thief for the government but when things start going missing on the missions that Gregg Hadyn is given, he is naturally the prime suspect. Proving himself innocent means breaking a whole lot of other rules. Luckily Hadyn is used to breaking rules. 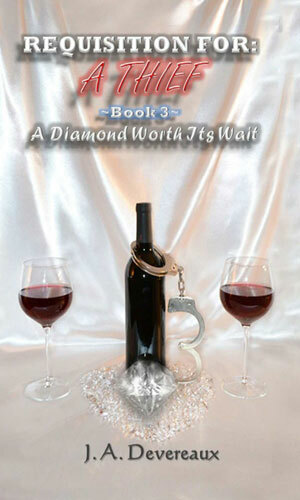 Gregg Hadyn is spending his first Christmas with his bride, SIRU agent Carly Macklin. It should have been a happy time but since it involves meeting members of her family who are less than thrilled with her choice in husband, the holiday is going to be rough. It is made worse when the only heist he ever failed at beckons again. 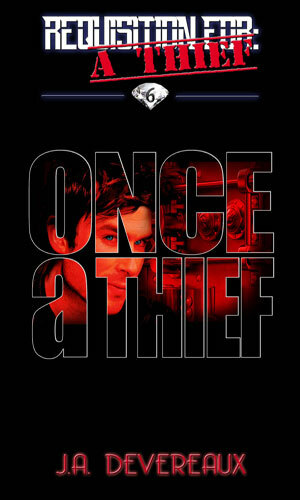 A blurb in the author's bio said that she has always enjoyed stories about good thieves (my terminology): Television dramas like It Takes a Thief and movies like To Catch A Thief. In the fictional spy world there have been a (sadly) few of these but they are not totally missing. 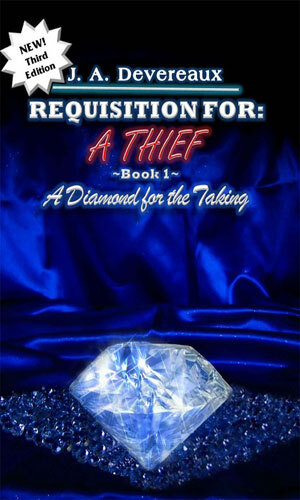 The novels in the It Takes a Thief series as well as those in the Spider Scott come to mind. When I saw that she had scribed her own take on the concept, I was intrigued and I remain so after having read five of the books. I liked the world of Gregg Hadyn and his fellow spies and I am pleased there are two more waiting for me to read when I have the time (as of this writing). The writing is easy to digest and the characters are all very interesting. The plots are okay (faint praise, I will admit but at least it is not a criticism). One big gripe I have, though, and it did detract a lot from my enjoyment, is that there is far too much repetition in actions of the main characters. To wit: Hadyn promises to be a good boy, something happens to make his boss think he is naughty, Hadyn proves it ain't so, boss and he make up but only barely. Then fifty pages later, rinse and repeat. The second time it happened, okay. The third time, ahhh. The fourth time? Fuggetaboutit. Of course, I groused a lot BUT ... darned if I didn't keep reading.